Volunteer with Wildlife and Big Cats on this internationally renowned wildlife conservation project in the breath-taking Khomas region of Namibia. This Naankuse sanctuary never refuses an animal in need and offers a safe home to many of Namibia's injured and orphaned wildlife and where possible rehabilitates them back to the wild. In an Africa where humans and wildlife sometimes struggle to co-exist peacefully, the Sanctuary provides a haven and a second chance for animals in need. Volunteers work up close with a wide range of wildlife, including lions, leopards, wild dogs and cheetahs to name just a few. This volunteer programme offers a unique opportunity to live in the heart of Zimbabwe and share the experiences of a 10,000 acre family-run African game reserve. Volunteers will live in close proximity to black and white rhino, elephants, buffalo, giraffe and many other animals and birds and will be able to experience Africa in a safe environment, work hard and enjoy a life changing experience. With just 12 volunteers there will be plenty of time and space to form bonds with other volunteers, the animals and the spell-binding African bush. As well as working with the animals, volunteers will help with community projects and in the local school, carry out work around the game park and undertake research projects. There is also the opportunity for those who horse ride to ride on working days. A once in a lifetime 3 week Malaysia experience - the first week spent trekking and exploring the wildlife corridor between Taman Negara and the main moutain range in West Malaysia to help conserve the majetstic and endangered Tiger followed by a further 2 weeks on the stunning Perhentian Islands protecting the sea turtles whilst snorkling and enjoying the beautiful beaches. Volunteers who join this project will not only experience the best parts of these amazing desintations but also learn about and help the animals and people that make these places so special. This is a must do volunteer opportunity for any nature lover visiting Malaysia. 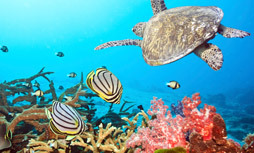 Are you looking for a new and exciting experience that will be out of the ordinary? Do you want a change from your predictable day to day life? Do you want a challenge and a chance to make a real difference to wildlife in Africa? Do you want to learn how to read nature and its wildlife and take part in adventures that will never be forgotten? If the answer is YES Noah's Ark is the project for you - an energetic programme that offers a real practical experience - including aspects of conservation, animal care, research and environmental studies. No experience is necessary – just to be an animal lover, want adventures and be able to expect the unexpected. Experience the ultimate hands-on volunteering experience in this Safari Park. Volunteers work with big cats including lions, tigers, cheetah and leopard and also get to walk with the tame elephants and join horseback safaris. There are also zebra, giraffe and hippo to name a few. For those with a dream to live and work closely with these amazing animals, this is an opportunity not to be missed! Fantastic opportunity for a life-enhancing experience spending time volunteering at this Elephant Sanctuary which is a rescue and rehabilitation centre in Northern Thailand. Volunteers work hands-on helping with the daily tasks looking after the thriving elephant herd, many of whom have been rescued from desperate situations. The sanctuary provides a very natural environment for the elephants, many of whom are disabled, blind and orphaned and who have been abused as working animals and for street begging. Care is also provided for dogs, cats, buffalo and many other animals who have been rescued and need care. Do you have a passion for wildlife and enjoy a challenge? If you are a qualified veterinary health professional or currently a student within the profession and would like to experience a different kind of practice within the field of veterinary medicine, then this is the programme for you. Volunteers to this exciting project will help to care for an array of Africa's stunning wildlife that has found a safe home at the world renowned Noah's Ark Wildlife Sanctuary in Namibia. This is a fantastic opportunity to help these wonderful animals and offer them a second chance in life, as well as gaining experience in a totally new environment. 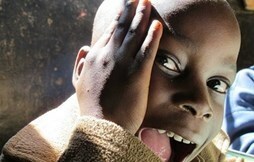 Why not take the first step on a wonderful African adventure by booking a place now. 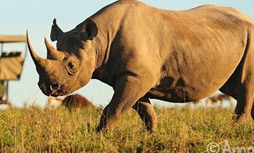 Shamwari Game Reserve is world famous and one of the largest Big 5 Reserves in the Eastern Cape as well as being home to the Born Free Foundation and the beautiful big cats that have found a safe home there. Volunteers have the opportunity to get behind the scenes and involved in the conservation efforts of this renowned Game Reserve. This is a unique opportunity for volunteers to visit the Namib Desert research sites in Southern and North-East Namibia: Neuras Wildlife Estate, Kanaan Desert Retreat and Mangetti. At these sites volunteers will monitor big cats, wild dogs, hyena and elephants, contributing to invaluable research that will help to mitigate human-wildlife conflict in Africa. Many of the big cats at the Naankuse Wildlife Sanctuary have been rescued, rehabilitated and released into these sites and given a second chance at living in the wild. All volunteers spend time at the Wildlife Sanctuary where they will work with the many orphaned or injured animals that have arrived seeking help and rehabilitation. Take this opportunity to look more than 120 Sun and Moon bears that have been rescued from many situations - from the hands of poachers, the black market, the horrific bile farm industry and from those who use them for entertainment or keep them as exotic pets. Volunteers will work at the sanctuary just outside of Cambodia’s capital city, Phnom Penh and will have a once in a life time chance to experience rural Cambodian life. The bears are looked after in forested and green enclosures, which have natural rocky outcrops, climbing frames and pools - a far cry from the lives they once knew. Imagine Africa without the mighty lion - a kingdom without a king. Nothing would be more devastating to this continent and its economy than losing this iconic majestic animal. With this project not only will volunteers play a vital part in the conservation efforts but they will also learn about the behaviour of lions, carry out scientific research and get closer to this animal than they have ever imagined. 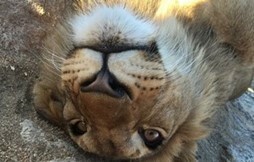 Saving the lion is possible with the help of volunteers. A once in a lifetime experience to work with the majestic African lion on the world's leading lion breeding and release project. 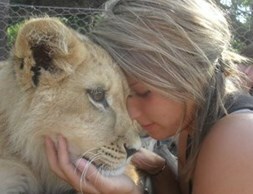 Volunteers can leave their imprint on Africa by playing a vital part in conserving the African Lion. They will learn about lion behaviour and help with research data while living and working in a game park in the beautiful Zimbabwe midlands. Volunteers have the opportunity to work with experienced rangers and conservationists on the stunning Big 5 Makalali Game Reserve. They will experience and learn all about the African Bush and its wildlife whist tracking and monitoring the wildlife - sometimes on foot! Get back to nature, experience some incredible wildlife sightings and be part of valuable research activities to help the Africa's Endangered Species and wildlife. Based on a beautiful game reserve near Nelspruit this sanctuary offers a safe home to abandoned, orphaned and injured wildlife in South Africa with the aim of rehabilitating them when even possible back to the wild. 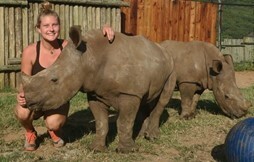 Volunteers have the unique opportunity to help in the care and rehabilitation of one of Africa’s most endangered animals. The rate of rhino poaching is rapidly escalating, resulting in their being many orphaned calves in need of the specialist care that this sanctuary offers. 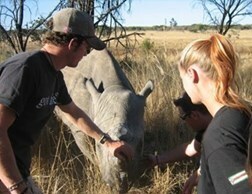 Volunteers help to hand rear and rehabilitate rhinos as well as the other wildlife that has found a safe home here. 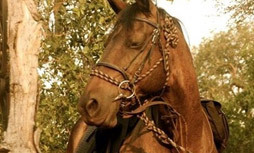 This fantastic project, specifically designed for more experienced riders, is located at the Naankuse Wildlife Sanctuary and will enable participants to enjoy their love of horses in the surroundings of the beautiful sanctuary grounds and work on valuable wildlife conservation and animal care. An exciting opportunity to work hands on with some of Africa's most endangered wildlife including Cheetahs, Painted Dogs, African Wild Cats and many other animals at a this leading sanctuary and breeding centre in Hoedspruit. Volunteers work with the dedicated staff in all aspects of wildlife care and rehabilitation as well as being involved in any wildlife veterinary care or hand rearing of animals that may be needed. An opportunity to work with sun bears in Borneo. 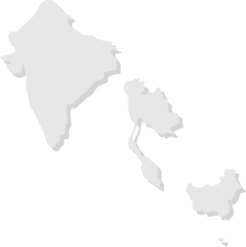 Volunteers can spend two or four weeks at the Sun Bear Sanctuary or follow two weeks at the Sun Bear Sanctuary with two weeks at the Corridor of Life - a newly delineated high priority conservation area. Both locations provide a safe haven for rescued sun bears and work towards rehabilitating them and releasing them back into the wild. This is an exciting opportunity to work with the Malaysian keepers to improve the conditions of these wonderful bears, as well as helping to improve understanding of conservation through work with schools in the local village. Take a one-off chance to trek through the rainforest of Borneo and learn about some of its mystery. For centuries the Karen tribe cared for the elephants in the jungles of south-east Asia. Sadly unemployment within this community resulted in the elephants being hired out to trekking camps and elephant tourist shows, often with dreadful results. 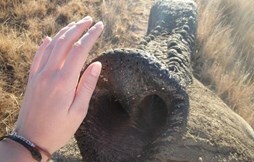 Now the time has come for the elephants to return to the village and their natural habitat. Here volunteers have the chance to interact with these beautiful and intelligent animals on a daily basis as well as living and working in this fascinating tribal community in the mountains of Chiang Mai. Volunteers may join this project for one week only - so why not combine a holiday in Thailand with a chance to make a real difference to the lives of the elephants and the community in beautiful Chiang Mai. A rare opportunity to be part of a truly worthy cause which takes volunteers to the scenic wilderness of the Namib Desert, home to endangered desert elephants. Working alongside local conservation teams, volunteers undertake pioneering initiatives to facilitate a peaceful human/ elephant coexistence, while observing these special animals in their natural environment. A unique wilderness adventure! Volunteer work hands on with orangutans, and other wildlife that has found a safe home at this Indonesian Wildlife Rescue Centre in Java. The Centre offers sanctuary and rehabilitation, where possible, to the critically endangered species that have been confiscated from illegal ownership, the pet trade or have lost their homes due to deforestation. This is a unique opportunity to help these wonderful animals hands-on as well as enjoying a real cultural experience while helping to teach English to the local village children. For anyone who loves animals, doesn't mind getting their hands dirty cleaning cages and are happy to share their enthusiasm and knowledge with local villagers, this is the volunteer project for you. 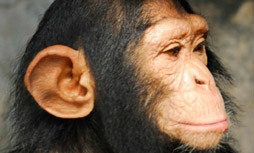 Live in close contact with over one hundred chimpanzees and other animals in need of care and attention, including bush babies, monkeys and squirrels. Witness the incredible animal relationships in the close-knit chimpanzee family structure, and be part of the day-to-day care of the orphanage's inhabitants. A wonderful opportunity to volunteer with wildlife and big cats on this internationally renowned wildlife conservation project in the breath-taking Khomas region of Namibia. This unique programme combines the chance to teach some of the children of Namibia who are most in need of education with the opportunity to work - hands on - with the animals who come to the Naankuse Sanctuary in need of rescue, care and rehabilitation. Volunteers of all nationalities work together and although no experience is necessary, they all share a desire to improve the lives of the children and the wildlife in this beautiful African country. This fantastic project is set in 2000 hectares of pristine wilderness on the outskirts of the world-famous Victoria Falls and offers volunteers the chance to join a team of dedicated conservationists as they work tirelessly towards restoring and maintaining this haven for wildlife. 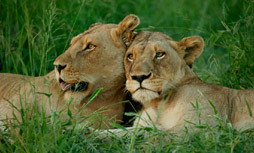 Volunteers will assist in the care and upkeep of the resident lions, who act as ambassadors for all wildlife by generating the much needed income required to sustain the various conservation and community development initiatives. Their care is of major importance. A fantastic project especially for anyone who is passionate about cheetahs and who wants to ensure that these wonderful creatures survive and flourish in their natural habitats in Africa. The project is aimed at conserving rare and endangered species with the aim of rehabilitating them back into their natural and original habitats. A successful breeding project has been established and volunteers will play a role in this work as well as helping to promote public awareness of the pressing need for wildlife conservation. 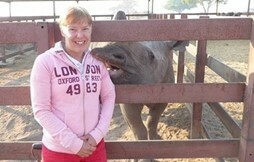 Volunteers will work hands on with these beautiful animals and learn the processes involved in the care. Following the success of previous family volunteering projects we are delighted to announce the dates for a family volunteering project again in 2016 as part of the ongoing Desert Elephant work. This child-friendly project is sure to attract many families where project work at a local school will be tailored to suit the whole family. This will be followed by several days "on patrol" checking on the elephants with the excitement of sleeping under the stars! Why not take the opportunity for a short tour of the beautiful country of Namibia either before or after your time volunteering? Please ask Amanzi Travel for suggestions. This project is based in the world-famous Greater Kruger area - famous for the Big 5 and amazing scenery. 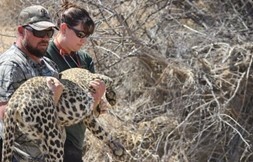 Its focus is to monitor wildlife first-hand and to assist with vital conservation. Volunteers will be on the front line in supporting these objectives and will join experienced field guides on daily research drives through the heart of this stunning South African Game Reserve to monitor and study Africa's Big 5 (Lion, Leopard, Elephant, Buffalo and Rhino). They will also assist local wildlife foundations protect endangered and at-risk species in this spectacular part of South Africa. No experience is necessary but patience and enthusiasm are essential and a laptop is highly recommended. This fantastic project will give anyone with a passion for horses the chance to also enjoy close encounters with lions. Volunteers joining this project will not only be interacting directly with more than 30 horses of all types while mastering the act of horseback riding, but also playing a vital part in lion conservation efforts while getting closer to these animals that could every be imagined. It's a unique opportunity for all animal lovers from around the world to work with and care for these two magnificent iconic species - on a beautiful game reserve in the heart of the Zimbabwe Midlands. An amazing opportunity to visit the untamed beauty of this Wilderness Reserve in the Limpopo province of South Africa. This project brings new challenges and developments each day and volunteers will be involved in the monitoring and research of the wildlife and the natural environment. Volunteers can also sleep out under the stars - an unforgetable experience! 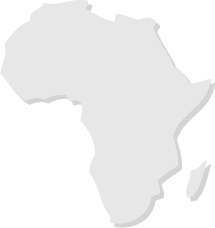 Imagine Africa without the mighty lion - a kingdom without a king. Nothing would be more devastating to this continent and its economy than losing this iconic majestic animal. And there's no way of saving iconic African wildlife without getting the local communities involved. That's because wildlife conservation and community work go hand in hand. With this project volunteers will play a vital part in the lion conservation efforts, but also working in schools, teaching kids the importance of the magnificent wildlife alongside which they live. The key for conservation is education. A wonderful opportunity for volunteers to care for their own special elephant helping with its daily care - feeding, river bathing, walking out with them as well as any necessary medical treatment. Volunteers are able to create a special bond with their elephant as well as immersing themselves in the Sri Lankan way of life and culture. 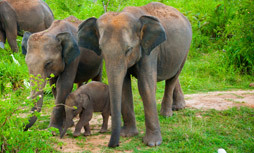 Work hands on with Elephants and help to improve the care and conservation of these wonderful animals across Sri Lanka. Volunteers provide vital care for the many primates, including vervet monkeys and baboons, that find a safe home at this incredible rehabilitation centre. Based just an hour away from the Kruger National Park, this is the world's largest primate rehabilitation centre and has been helping hundreds of monkeys be rehabilitated back into their natural habitat and have a new chance at life in the wild. Located in the world renowned Greater Kruger Area, surrounded by a number of world-renowned game reserves, this project gives participants the opportunity to enhance their photographic skills while raising conservation awareness. The Kruger National Park is just 45 minutes away and for anyone who has always wanted to take amazing wildlife pictures, there is no better place in the world. This project offers a unique opportunity to view the Great White Shark in its natural environment, either from a boat or an underwater cage, in addition to seeing many other wildlife species. Volunteers will learn a lot about the Great White and then put that knowledge to use by assisting in conservation and research into this awesome animal.